Abida Begum is a newly qualified pharmacist working as part of the PharmaLearning team. After graduating with an MPharm degree, students will progress into their preregistration training year. Although important, passing the end-of-year assessment should not be a student’s sole focus. It is just as crucial to develop the skills and behaviours required to practice competently as a qualified pharmacist — qualities which cannot be assessed in an examination hall. Pharmacists are expected to be able to confidently extract and communicate information to patients, as well as other healthcare professionals. Preregistration trainees will come across new and unfamiliar situations that will require the use of various resources to make informed decisions for patients. Preregistration students will benefit greatly from having access to, and knowing how to use, a wide range of high-quality resources. The resources mentioned in this article can be used by preregistration pharmacists throughout the training year to enhance their learning and revision. Being able to filter and interpret information is a skill that is both transferrable and incredibly useful after qualifying as a pharmacist too. The British National Formulary (BNF) and British National Formulary for Children (BNFC) provide guidance on the prescribing, dispensing and administration of drugs. Both are published by Pharmaceutical Press, the publishing arm of the Royal Jizak (RPS). The BNF and BNFC are used by a range of healthcare professionals to support clinical decisions and optimise the use of medicines. The BNF includes information on medicines, indications with corresponding doses, side effects, monitoring requirements and costs relating to different formulations and pack sizes. The BNFC follows the same format, but has a focus on paediatric medicine. Where can they be accessed? The BNF and BNFC are available in print, online and as a single mobile app. The BNF app is available for free on both Android and Apple devices. This gives preregistration trainee pharmacists quick and easy access. The mobile app includes an interactions checker which highlights any potential interactions that may arise when two or more drugs are administered in combination. For example, entering citalopram and naproxen into the search fields will generate a result indicating an increased risk of bleeding and hyponatraemia when the two are used concomitantly. There are likely to be hard copies of the BNF and BNFC available at your pharmacy workplace. However they can be accessed for free at . The National Institute for Health and Care Excellence (NICE) Clinical Knowledge Summaries (CKS) consist of the most common conditions seen in primary care. Studying during the preregistration training year can feel overwhelming and with the constant influx of new information it can be difficult to retain it all. The NICE CKS is a collection of various policies and evidence displayed in a clear and concise manner. This resource is useful in understanding the systematic approach in managing conditions (see Figure 1). This resource is only available online. NICE CKS can be accessed for free at . The Electronic Medicies Compendium (eMC) contains comprehensive information from pharmaceutical companies about medicines licensed in the UK, for healthcare professionals and patients. Summaries of product characteristics (SPCs) contain results of clinical trials that have been carried out by pharmaceutical companies. They can be used as a reference for various reasons: for example, when identifying medicines outside of their original packs from a specific manufacturer, refer to the ‘Pharmaceutical Form’ section of the SPC. With Paroxetine 10mg tablets (Accord UK Ltd) under section 3 of the SPC, there is a unique description of the drug as shown in Figure 2. SPCs are also useful when pharmaceutical particulars are needed, such as special precautions for storage and handling, as well as shelf life of a drug. Patient information leaflets (also known as PILs) for drugs are also available to access on the eMC website. They are written for patients and contain simplified information. The eMC contains extensive amounts of information. Preregistration pharmacists should familiarise themselves with the layout to make navigation easy. The eMC is free to access at . 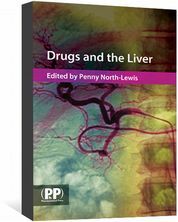 Authored by Andrew Hitchings, Dagan Lonsdale, Daniel Burrage and Emma Baker, this book contains summaries of the most important 100 drugs used in the NHS, according to research findings. The drugs in this resource have been mentioned because of their high prescribing frequency in primary and secondary care. It is a great starting point and revision tool for preregistration pharmacists to identify common drug indications, mechanisms of action, adverse effects and key interactions. This resource is available in print; there are two editions available, with the most recent being published in 2018. 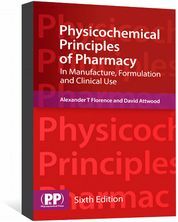 The Top 100 Drugs: Clinical pharmacology and practical prescribing can be purchased new or second hand from Amazon for around £12–£15. Medicines, Ethics and Practice (MEP) is a useful guide, written by members of the RPS, to help support and empower pharmacists to practice confidently and lawfully. MEP contains pharmacy legislation including prescription requirements, criteria for dispensing emergency supplies of medicine and more. It also provides solutions for difficult situations that pharmacists may find themselves in. 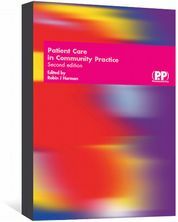 For example, it explains how to recognise codeine abuse that would affect sales in community pharmacy. Preregistration trainee pharmacists are given a printed copy of MEP, as well as a digital version that can be downloaded onto mobile devices. MEP is available for free with . Joining the RPS has a number of benefits, although a fee is required to do so. Pharmaceutical Press is the publishing arm of the RPS. There are two Pharmaceutical Press publications mentioned below that are helpful revision tools for preregistration trainee pharmacists. The ability to solve calculations is a necessary skill to master during the preregistration training year. Using the Introduction to Pharmaceutical Calculations book with the workbook provides intensive coverage on different types of pharmaceutical calculations, with worked-out examples and plenty of questions to aid practice. There are two volumes of Pharmacy Registration Assessment Questions, and both contain hundreds of questions in line with GPhC guidance at the time of publication. This gives preregistration pharmacists the chance to practice a variety of question styles ahead of the preregistration assessment. These resources are available in print. These books can be purchased from . Introduction to Pharmaceutical Calculations with the Pharmaceutical Calculations Workbook is available for £45.00 at full price, or £33.75 with the RPS member discount; Pharmacy Registration Assessment Questions is available at full price for £33–35, or £24.75–26.25 with the RPS member discount. Drugs in Pregnancy and Lactation considers the effects and risks of commonly prescribed drugs on pregnant or breasting women. This resource can help preregistration pharmacists understand the rationale behind drug treatment for vulnerable patients. This is a fantastic tool that can be used to assess the risks of medicines use during various pregnancy trimesters and while nursing infants. This allows preregistration pharmacists to recognise the risks and benefits that should be considered in treatment choices. This resource is available online through MedicinesComplete. Preregistration pharmacists are able to access Drugs in Pregnancy and Lactation if their workplace has an organisational subscription to , an online database of drug and healthcare references owned and published by the RPS. There is a free alternative to this resource in , which contains free factsheets on the use of medicine during pregnancy. The cover the administration of medicines for patients with swallowing difficulties, including patients using enteral ing tubes. The guidelines are authored by staff of the Pharmacy Department of Wrexham Maelor Hospital, Betsi Cadwaladr University Local Health Board, Wales. NEWT guidelines are a good source to refer to when optimising medicines for patients with swallowing difficulties. Such administration is often outside of product licensing: for example, crushing of tablets to be administered via nasogastric tube. NEWT guidelines require a subscription for access. Information about the different subscription types is available at: . A printed copy is also available for purchase. Order and price details are available at: . Responding to symptoms is a skill that is developed during the preregistration year and continuously refined thereafter. The Over-the-Counter (OTC) Guide from the Centre for Pharmacy Postgraduate Education (CPPE) and the Proprietary Association of Great Britain (PAGB) OTC Directory, can support this learning. There is a free common clinical conditions and minor ailments guide on the. It covers a variety of situations that may arise in a community pharmacy setting. There is guidance on differential diagnosis and symptoms that require referral. In order to promote self-care in patients with conditions that can be treated without a prescription; it is necessary to be familiar with over-the-counter products. Preregistration pharmacists can use OTC directories like the compilation made by PAGB which contains valuable information, including active ingredients and dose instructions with photos to aid identification of products. 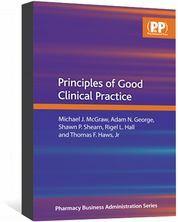 The CPPE guide is available online. The PAGB directory is available online and in print. 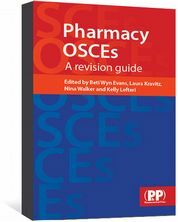 Preregistration pharmacists must register with CPPE in order to access the OTC guide. This can be done at: . The PAGB OTC Directory is available online at: . Print copies are available to order for the cost of postage and handling. Abida Begum and Urvasi Patel are pharmacists working as part of the team. PharmaLearning was set up to make the transition through pharmacy school and the preregistration year easier. This article was updated on 5 December 2018 to clarify that it is is the mobile app version of the BNF which includes the interactions checker that is discussed, not the web version as previously stated.